As Henderson prepares for the Raiders to start construction on the practice facility this fall, North Las Vegas Mayor John Lee shed some light on what went into the decision-making process for the team and how his city in the end had no shot. Lee appeared alongside Henderson Mayor Debra March, who also talked about the Raiders coming to Las Vegas in 2020 and what it means to her city as part of an Aug. 16 breakfast meeting of the Southern Nevada chapter of NAIOP, the development organization. Lee said the cities work together and do what’s best for the region. Everyone knew the $1.9 billion stadium would be built near the Strip and “none of us tried to get into the county’s way.” But when it came to the corporate headquarters and practice facility, Lee said that was an open competition. When city officials showed land and sat down to talk with a Raider representative to pitch why North Las Vegas should get the project, Lee said they realized the city wouldn’t land it based on parameters of what the team was looking for. Lee said he asked how that can be since it’s not that far and much of the drive being via freeway access. The discussion over the Raiders emanated from a question posed about cities competing against each other. Lee said he wouldn’t entertain a company moving from Henderson to North Las Vegas, for example, if company officials were angry about something a municipality did. Henderson sold the Raiders 55 acres near the Henderson Executive Airport for $6 million, half of its appraised value. The Raiders plan to spend $75 million and have 250 full-time jobs for nonplayers. 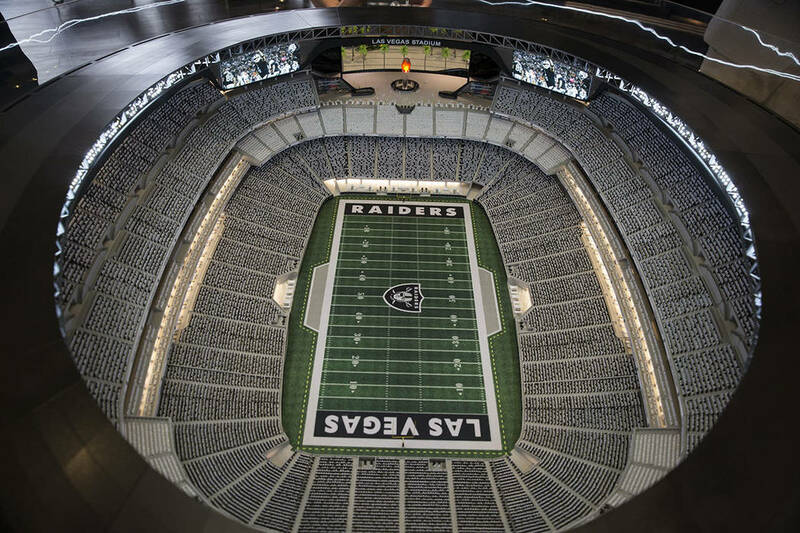 March, who touted the ground breaking in November, defended the sale of the land to the Raiders in response to a question of it going for a reduced price when other uses were possible. “I wouldn’t say it was a low price, and we knew it would stimulate other investment and opportunity adjacent to them,” March said. In July, Henderson sold 8 acres at St. Rose Parkway and Spencer Street for $8 million to Las Vegas-based Stable Development. The sale of the Raiders land has increased property values and stimulated interest in investment, March said. There’s a lot of excitement about the future of West Henderson not only with the Raiders but the opening of Costco on St. Rose Parkway and Smith’s building a 500,000-square-foot distribution center. There are plans for 103 acres of retail, offices and housing at St. Rose Parkway and Bermuda Road in a project known as Henderson West. The plan calls for nearly 3,000 in residential units, 670,000 square feet in office space and a 250-room hotel. Henderson residents live “regional lives” because they may live in the city and work in Las Vegas or North Las Vegas.